The Cabinet today approved the proposal for moving an official Amendment to the Constitution (One hundred and Tenth Amendment) Bill, 2009 for enhancing reservation for women in Panchayats at all tiers from 1/3rd to at least 50%. The Constitution (One hundred and Tenth Amendment) Bill, 2009 was introduced in the Lok Sabha on 26.11.2009. The official Amendment proposes to add word ‘rural’ before the word ‘population’ as and where the same occur in 1st Proviso of Clause (2) (iii) of the Constitution (One hundred and Tenth Amendment) Bill, 2009. This Provision will apply to the total number of seats filled by direct election, offices of Chairpersons and seats and offices of Chairpersons reserved for Scheduled Castes and Scheduled Tribes. Enhancement of reservation for women in Panchayats will facilitate more women to enter the public sphere and this will lead to further empowerment of women and also make Panchayats more inclusive institutions, thereby improving governance and public service delivery. The addition of word ‘rural’ before word ‘population1 occurring in the 1st Proviso of Clause (2)(iii) of the Rill will reflect appropriate demographic representation of categories of population for whom reservation is made. At present, out of the total elected representatives of Panchayats numbering approximately 28.18 lakh, 36.87% are women. With the proposed Constitutional Amendment, the number of elected women representatives is expected to rise to more than 14 lakh. Having more elected women representatives would benefit the entire population of the States and UTs where Panchayati Raj is in existence. 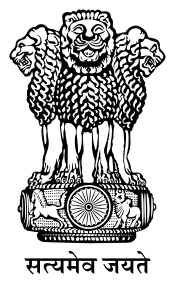 Ministry of Panchayati Raj had moved a Bill for amendment to Article 243D of the Constitution on 26.11.2009 after approval of the Cabinet for enhancing reservation for women in (i) the total number of seats to be filled by direct election, (ii) offices of chairpersons and (iii) in seats and offices of chairpersons reserved for SCs and STs, to 50% in all tiers of Panchayats. The proposed official amendment, as indicated above, in the original Amendment Bill will be moved in the Lok Sabha at the earliest. All States / UTs are parts thereof to which Part IX of the Constitution applies would be covered (Part IX does not apply to Nagaland, Meghalaya and Mizoram, tribal areas of Assam and Tripura and hill areas of Manipur). The Constitutional Amendment Bill for enhancing reservation for women in Panchayats at all tiers from one third to one half was introduced in Lok Sabha on 26.11.2009 with the approval of Cabinet in its meeting on 27.08.2009. The Bill was referred to Parliamentary Standing Committee on Rural Development by Hon’ble Speaker on 21.12.2009. The Committee has recommended that word ‘rural’ be added before word ‘population’ occurring in Clause 2 (iii) of the original Amendment Bill in order to maintain better demographic representation to SCs and STs class. In view of this, it has been decided to make official amendment accordingly in the Bill already under consideration of Lok Sabha.